Karangasem is a beautiful part of eastern Bali. Full of temples, sweeping bays next to ancient volcanoes and sleepy little villages, you will discover one of the most interesting destinations in Indonesia. Here, the local way of life has changed little in centuries. Take a step back in time and visit this special spot on your next holiday - all you need to do is book your Karangasem hotel. Your dream vacation awaits! The former royal palace at Tirta Gangga is the best place to appreciate the history of Bali. Surrounded by beautiful gardens, tiered fountains and mythical sculptures, you can really relax in the tranquil environment. Don't miss the phenomenal view across the lush rice paddies of north-eastern Bali. Bring your swimsuit because there are many public places for a quick dip, and it's the best way to freshen up after the heat of the day. Ujung Water Palace is another lovely window into the past, and also has spectacular ruins set in among lovely gardens. Grab a photo of the rhinoceros sitting atop the highest level of the palace and as you explore the grounds you'll get a feel of what life was like for the royals. Bali's most famous temple is the Pura Besakih, and is also called the Mother Temple of Bali. Come and see over twenty separate temples and shrines in the complex - the wonderful mix of beliefs and gods makes it a fantastic landmark to visit on your holiday. Feeling adventurous? Climb to the top of Mount Agung, Bali's highest peak. Standing 10,308 feet tall, it makes for a challenging trek. But once you reach the top you can claim you've scaled an active volcano, which has been sleeping since its last eruption in 1963. If you're looking for an easier climb, the peak of Mount Batur can be scaled in two hours and is great for people of all fitness levels. From the summit you also have awesome views across the valleys and out to the ocean. 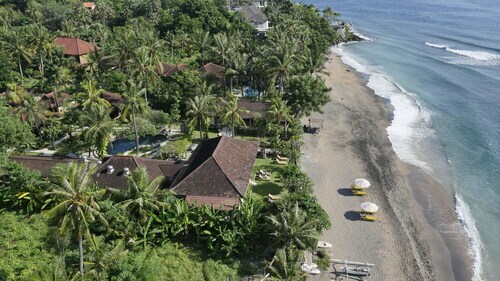 Also be sure to enjoy Karangasem's white sandy beach. It's perfect for relaxing by the water, sunbathing or having a swim. Love diving? Book a dive tour and see the tropical fish, colourful corals and the unique marine life Bali is famous for. Many of Bali's best dive sites are all close by, so don't miss the awesome wreck at Tulamben. If you fancy yourself a good surfer, do you think you can keep up with the locals? Hire a surfboard and test your skills against the best in Bali, or learn to surf at one of the island's great surfing schools. You'll be up and standing in no time. With everything you need for a fantastic tropical holiday, Bali offers a fascinating local culture, fantastic beaches and enough untamed nature to keep even the most adventurous happy. 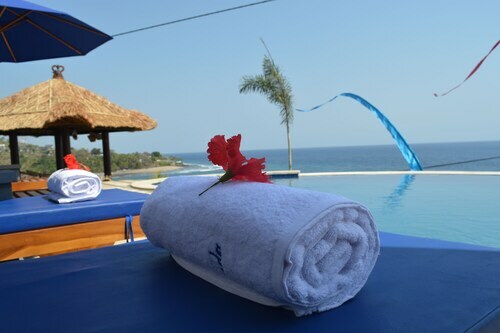 Find a great hotel in Karangasem and don't forget your flight to Bali! Your next tropical vacation is waiting! 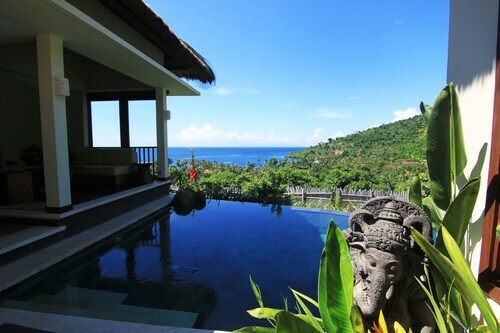 How Much is a Hotel Room in Karangasem? 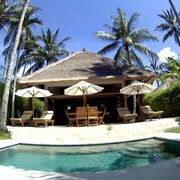 Hotels in Karangasem start at AU$25 per night. Prices and availability subject to change. Additional terms may apply. Most of the staff were friendly and accommodating. Went out of their way the whole time we were there, especially when we were sick towards the end of our stay. Lovely cottages with immaculate gardens. Food was excellent. Would recommend this place to anyone for a couple or family looking for a quiet get away.